Square Enix announced that Zenos yae Galvus from Final Fantasy XIV: Stormblood will be joining the fray in Dissidia Final Fantasy NT as a downloadable add-on character on April 11. 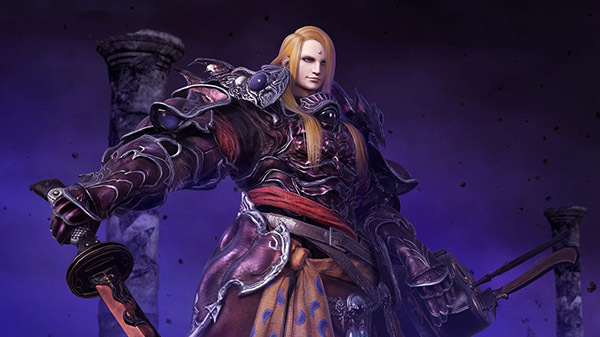 Fans who have played Final Fantasy XIV: Stormblood will know Zenos as the main villain of the expansion. Those who are playing on the arcade will get the new character first in its March 26 update. Dissidia Final Fantasy NT Free Edition offers players the opportunity to try out a limited roster of characters on a weekly basis. A variety of characters and weapons are also available for individual purchase. This ensures that favorite characters can be a permanent member of a player’s roster. Players of the free edition can also play online against existing players of the full game. Dissidia Final Fantasy NT is now available worldwide for PS4, and PC. The arcade version of the game is available in Japan.